I am always interested to here about opportunities to get involved or talk about my activities. I am happy to have my posts and sketches reprinted and used elsewhere. If you do use any material then please let me know as it will make me smile. Please do remember to credit me, provide my twitter handle and a link to my blog. GP Frontline, the official magazine of the RCGP, sent a photographer to Transitions2017 and interviewed myself and members of the organising team. They published a feature on our RCGP Vale of Trent Faculty innovative GP Jobs Speed Dating event, held over lunch at Transitions 2017. 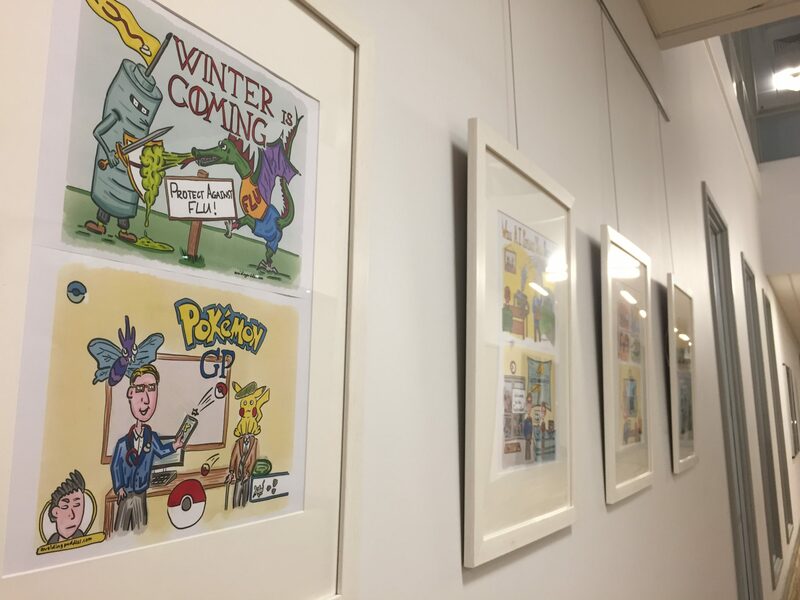 It was an honour to have some of my sketches displayed at this exhibition, to demonstrate how medics can use art to help communicate about professional issues and spread innovation. 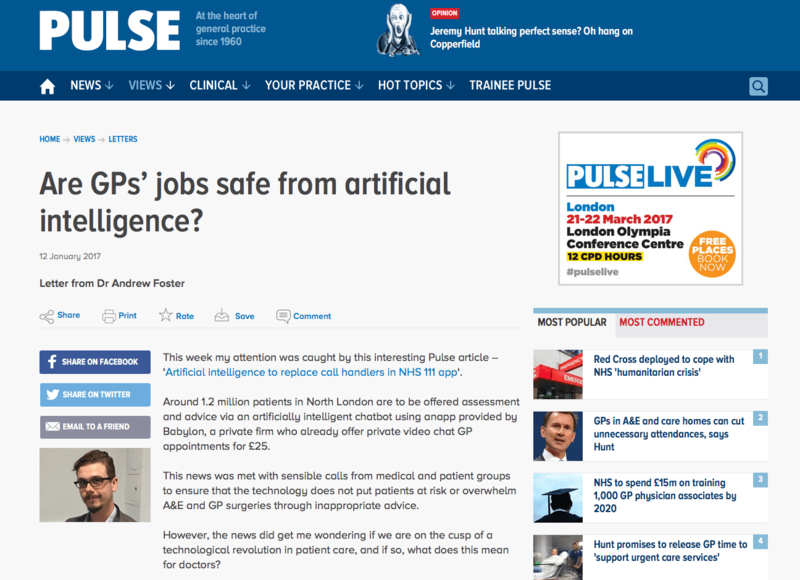 Fantastic to have my blog post about the potential impact of AI on General Practice employment reprinted as a letter in Pulse. Read the original blog post here… Is A.I. coming for your doctor’s job? Great to have my blog post about lessons that the NHS could lear from Disney reprinted in an online Pulse article. Thrilled to have my GP Job Speed Dating post and sketch featured in two online Pulse articles. Read the original blog post here… The worlds of speed dating and GP recruitment, together at last!